High Quality Content by WIKIPEDIA articles! 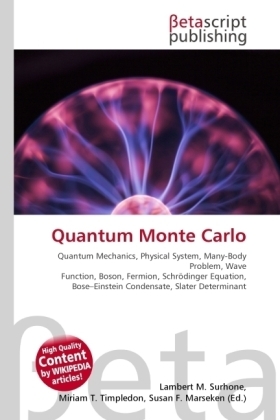 Quantum Monte Carlo is a large class of computer algorithms that simulate quantum systems with the idea of solving the many-body problem. They use, in one way or another, the Monte Carlo method to handle the many-dimensional integrals that arise. Quantum Monte Carlo allows a direct representation of many-body effects in the wavefunction, at the cost of statistical uncertainty that can be reduced with more simulation time. For bosons, there exist numerically exact and polynomial-scaling algorithms. For fermions, there exist very good approximations and numerically exact exponentially scaling quantum Monte Carlo algorithms, but none that are both.